aFe CONTROL Lowering Springs are specifically designed to work in conjunction with your factory shock absorbers. We test all springs for fitment and ride characteristics. The lowering springs will increase cornering and handling performance, providing you improved cornering confidence without adversely affecting ride quality. The lowered stance will transform the way your car looks and feels down the road, improve aerodynamics, enhanced response, and increased stability. All of our springs are offered as a direct fitment to your vehicle, and will not require any modifications to the original equipment for installation. 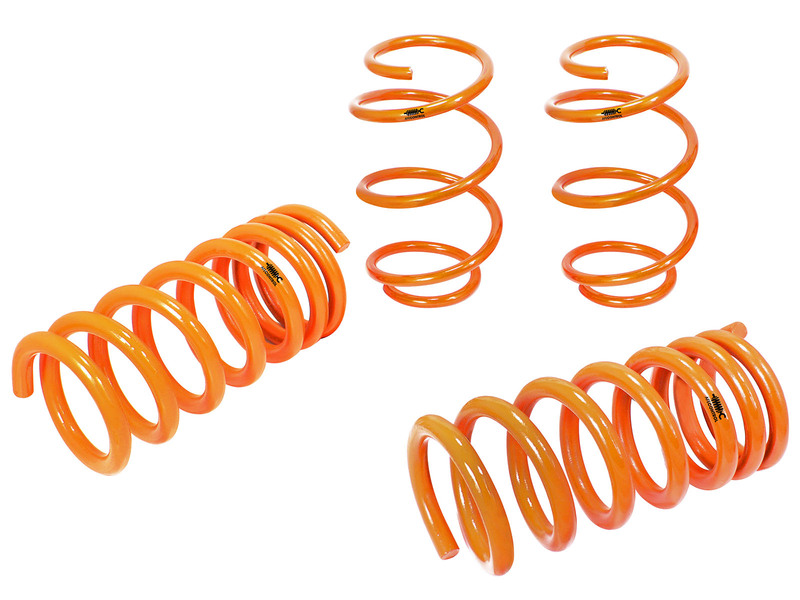 Each spring is powdercoated in an brilliant orange finish for increased durability and unbeatable long lasting looks. 7/8" up to 1.5" drop depending on application. Engineered to Optimize the Factory Shock Absorber Dampening. Tested on the street and track for optimum performance and longevity. Powdercoated orange for long lasting durability and looks. Direct fit with no modifications.